For using the Online POSTIDENT – procedure, please follow the instructions below. Use the item „Jetzt identifizieren mit POSTIDENT“ as you can see below. 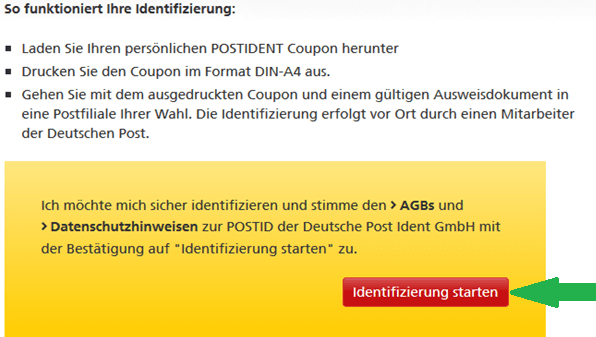 After clicking on the item „Jetzt identifizieren mit POSTIDENT“ you will be redirected to the homepage of Deutsche Post. 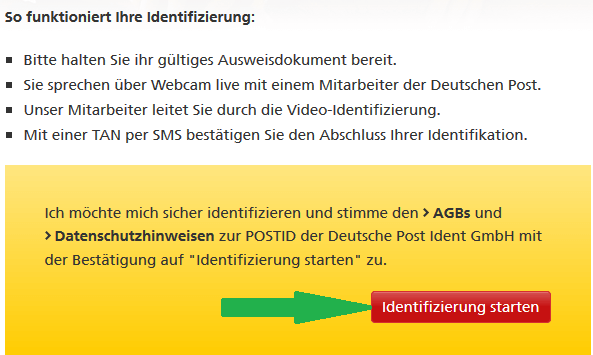 After clicking on the item „Jetzt identifizieren mit POSTIDENT“ you will be redirected to the homepage of Deutsche Post. Fill in the requested data (e.g. first name) and the Completely Automated Public Turing test. See example below and proceed with “weiter”. 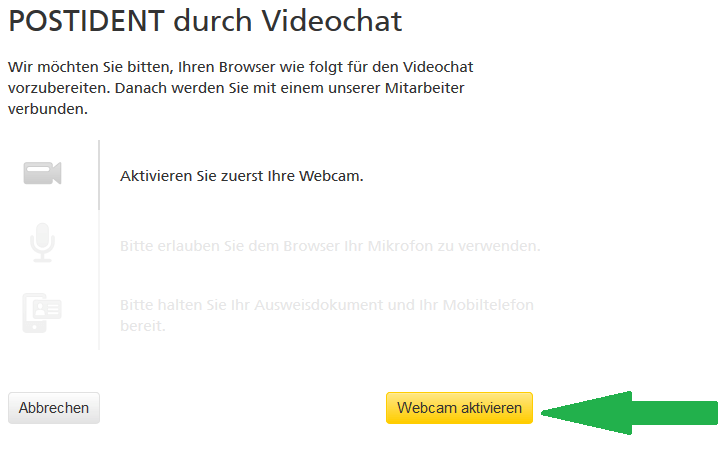 Now it is your choice to either be identified by staff at Deutsche Post retail outlets or to do a video chat with staff from Deutsche Post via your computer. Please make your choice. Please have your valid ID ready. After clicking the item “Identifiziereung starten”, you will have to perform a connection test first. Just click on „Verbindung testen“ („Test Connection“) to check if your internet connection meets the requirements. Subsequently, you will need to activate your webcam. 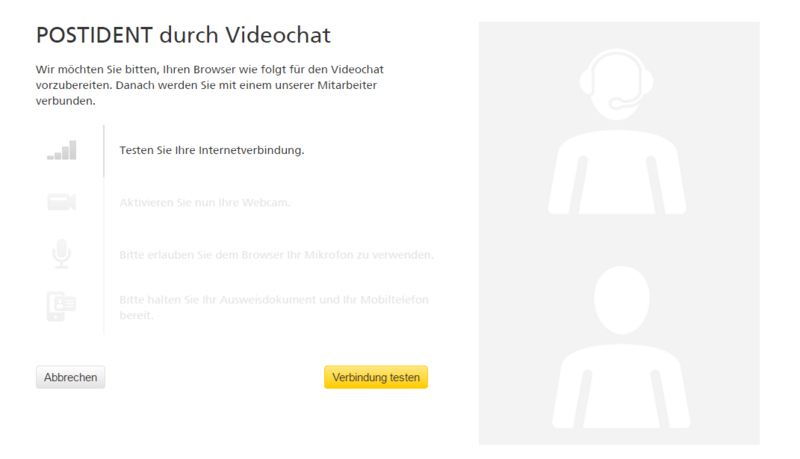 A staff member of Deutsche Post will appear onscreen guiding you trough the process. Concluding, you will receive a TAN via SMS. Subsequent, you may present the printed coupon at Deutsche Post retail outlet in combination with your valid id-card / passport. Upon receiving your account application including the required documents (e.g. copy of id, proof of adress), we will be able to open your account immediately.